Here are some updates of the new upgrade of Sepilok Laut Reception Centre (SLRC) in Feb 2012. 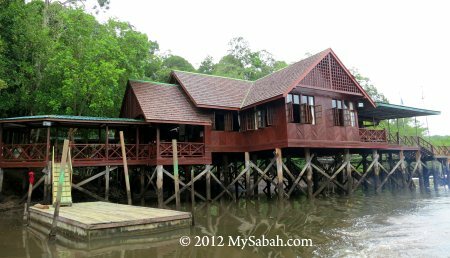 If you plan your trip to Sepilok Laut based on my earlier blog about SLRC, you may need to read the following changes. 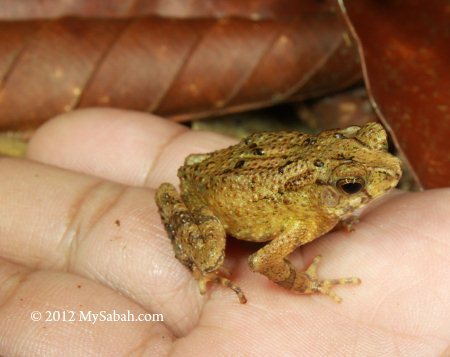 Sabah Forestry Department has constructed a 700-Meter Belian (Ironwood) boardwalk to connect existing SLRC to camping ground in Kabili-Sepilok Forest Reserve in early 2012. 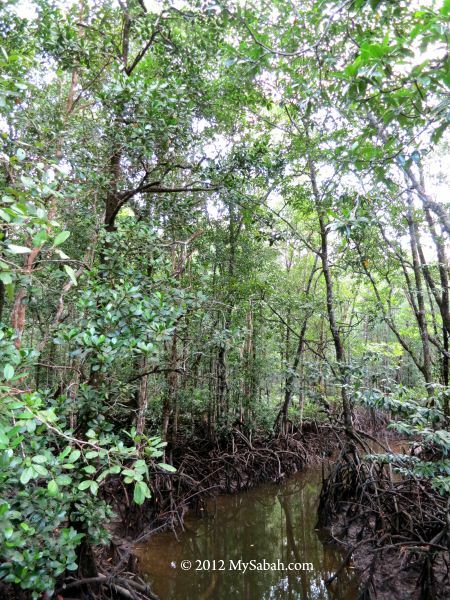 The new boardwalk will allow you to explore the pristine mangrove forest of Sepilok Laut, without walking in this muddy swamp. Pic: This 700-Meter boardwalk is built 2 Meters above the ground. 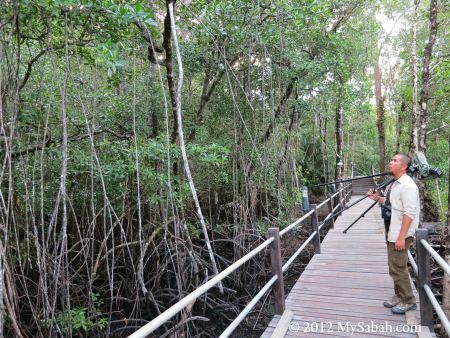 I visited the new boardwalk a month ago and found that this new boardwalk is great for bird-watching, as you can enter deep into the mangrove forest to look for mangrove bird species. 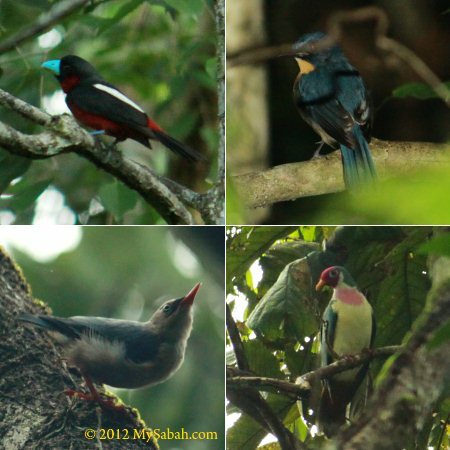 During my 1-day birding tour there, I spotted the following birds along the boardwalk. 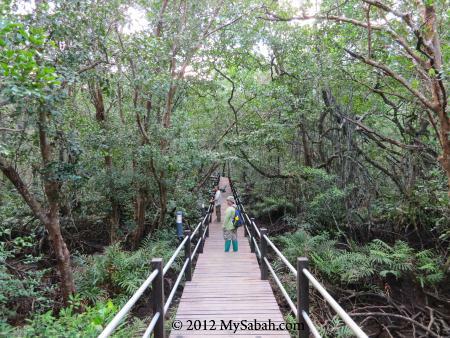 The boardwalk is also a nice way to see mangrove ecology and wildlife upclose. 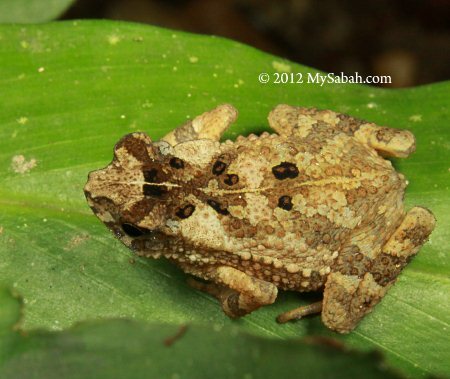 You would see proboscis monkey, macaques, monitor lizard, crocodile and mangrove viper here, depends on your luck. 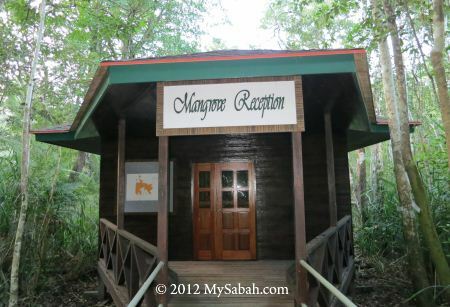 Pic: Mangrove Reception next to SLRC boardwalk. 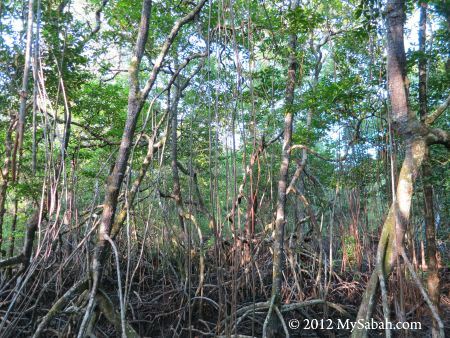 The main mangrove species in Sepilok Laut are bangkita (Rhizophora apiculata), tengar (Ceriops tagal), nyireh (Xylocarpus granatum) and geriting (Lumnitzera littorea). Mosquitoes are active here during dawn and dusk. 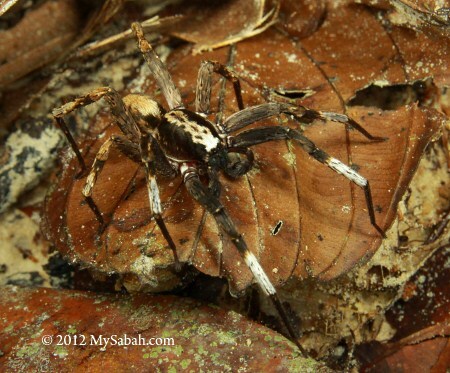 Do bring insect repellent. 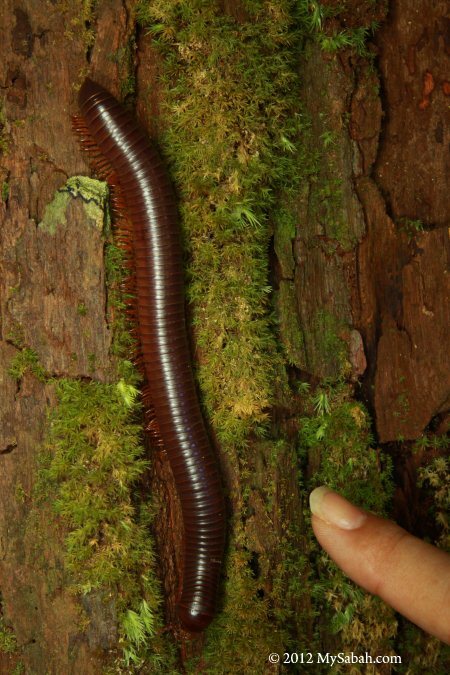 You will be deep in the forest, so there is no shop around to sell you this. After 30 minutes of leisure walk, you will reach a Camping Ground at the end of the boardwalk. 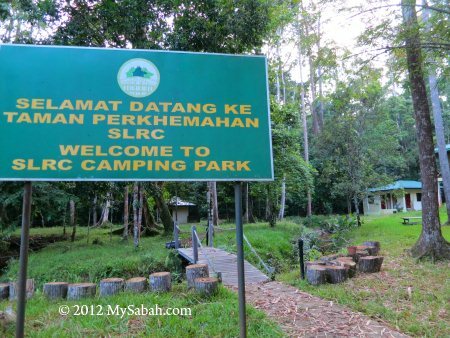 In year 2011, I had to walk nearly 1 KM from this camping ground to SLRC on a rugged forest trail. Now hikers can take the new boardwalk to SLRC, which is easier. 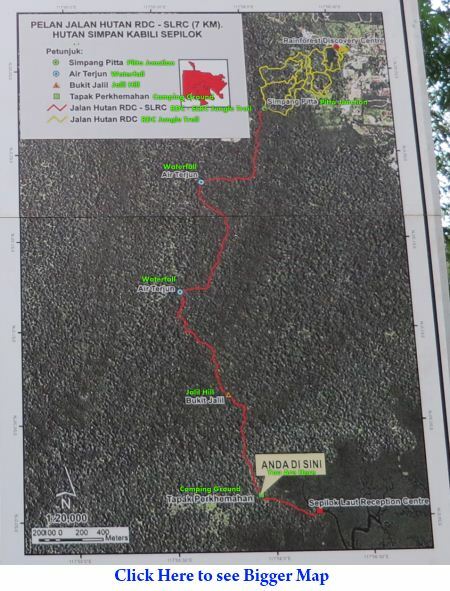 In the past, for tourists who wanted to do a jungle trekking from Sepilok to SLRC, the trail started at Sepilok Orangutan Rehabilitation Centre. This trail is poorly-maintained and turns muddy after rain. 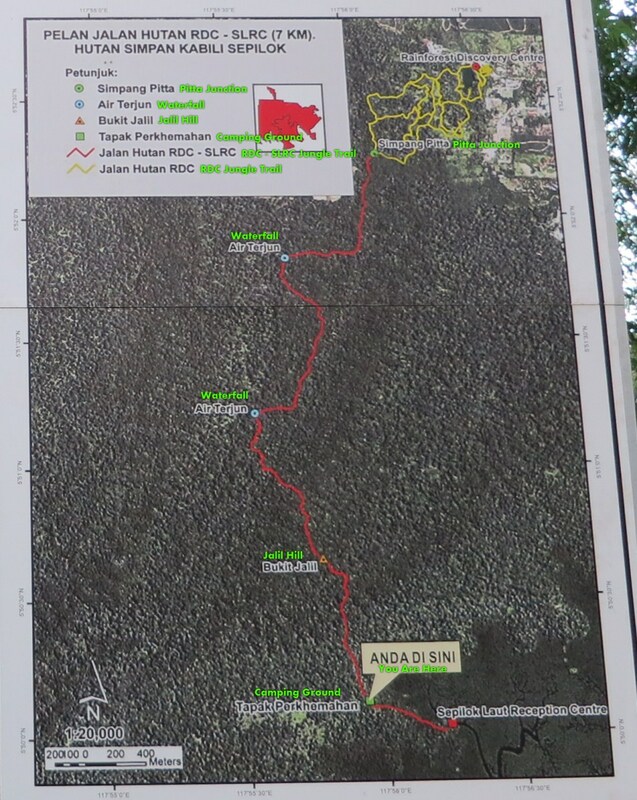 Now the new 7-KM trail starts at Rainforest Discovery Centre (RDC) and passes by two waterfalls. I haven’t tried it but I assume it is better. 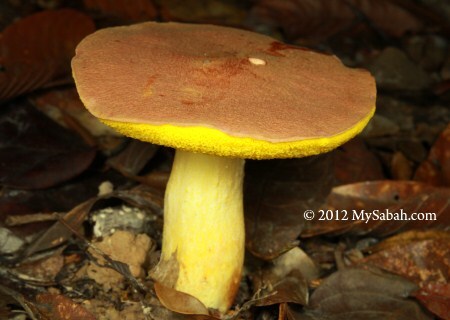 You may click the trail map above for more details. 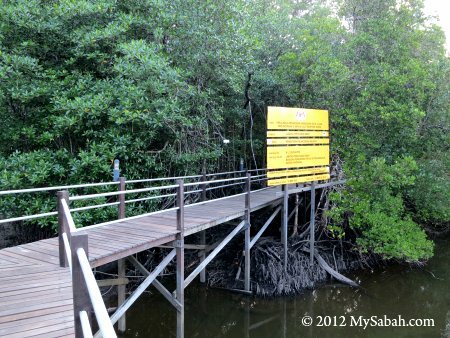 Other than what I mentioned above, nothing much is changed in Sepilok Laut Mangrove Discovery Centre. 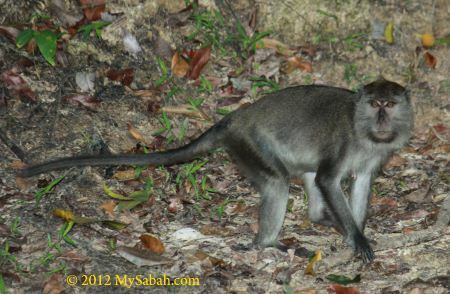 The naughty long-tailed macaques are still around. I miss them so much. But I didn’t see Paul, the alpha male this time. Again, I did a night walk at SLRC. I started my walk on a rainforest trail from SLRC to Camping Ground, then return to SLRC via the boardwalk. 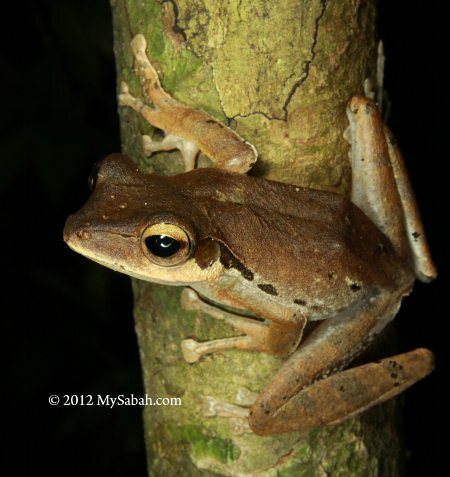 By doing so, I could see nocturnal animals of rainforest and mangrove forest. Cool huh? Unfortunately, it rained that night so I had to rush back. Anyway, I still photographed some interesting flora. The new facilities of SLRC definitely made my experience there more enjoyable. 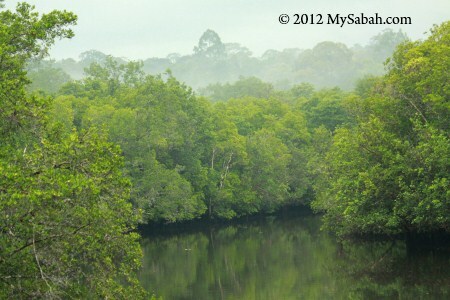 After enjoying the view of misty mangrove forest in the morning, I headed back to Sandakan city by speed boat. 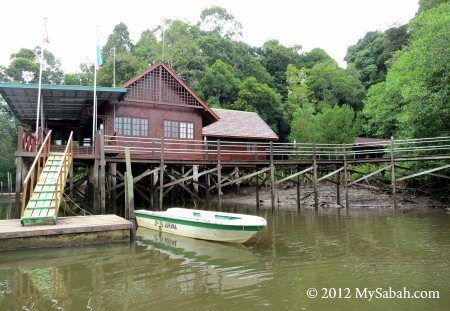 If you love being in touch with forest, Sepilok Laut Reception Centre (SLRC) is really worth a visit, as it allows you to see two ecosystems, i.e., rainforest and mangrove, in one place. Have you been there? Please share your experience with me.